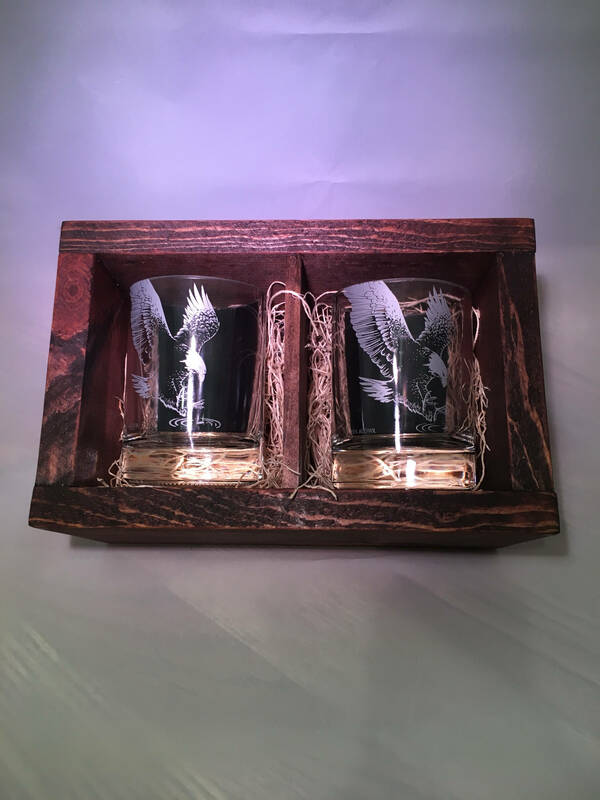 You are purchasing a wood gift box set that includes 2 rocks glasses made from Eagle Rare Whiskey 750ml bottles. These have been cut and sanded for your future drinking pleasure. 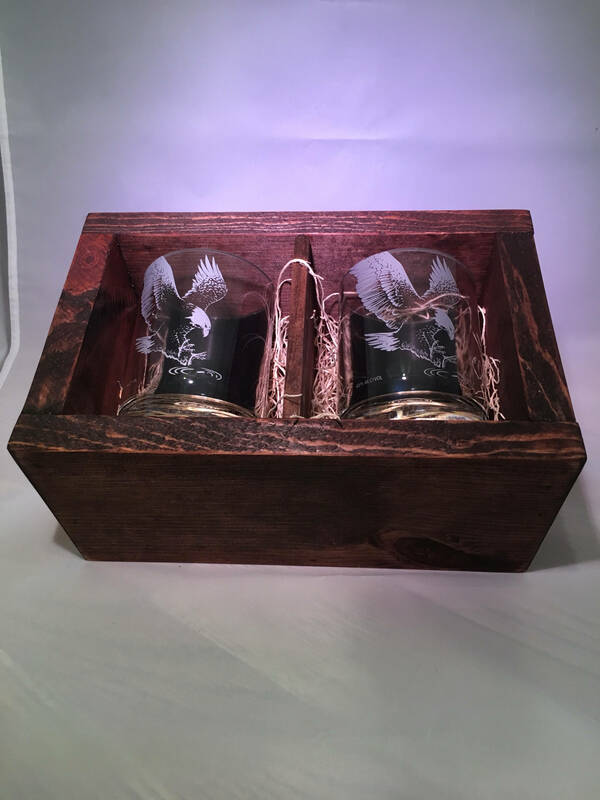 Wood shred is included in the base of each wood box compartments. 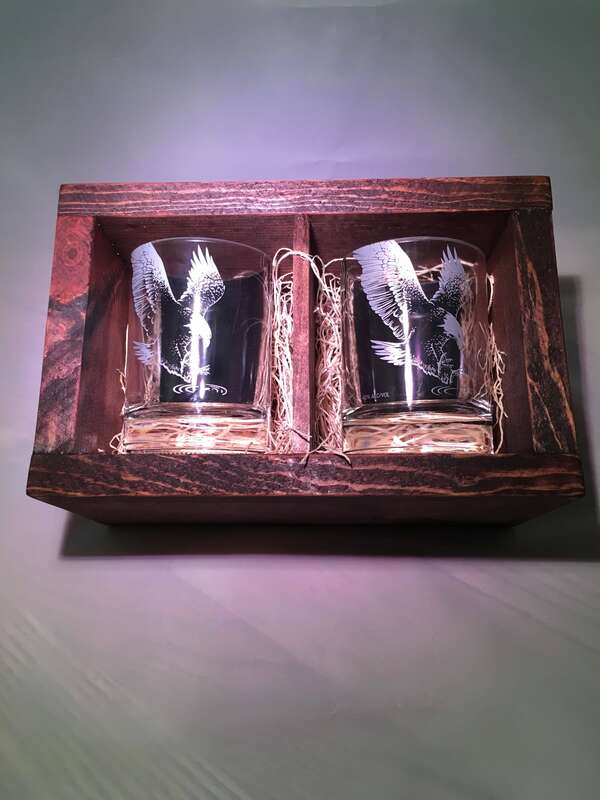 Great gift for a friend, co-worker, and/or family member.